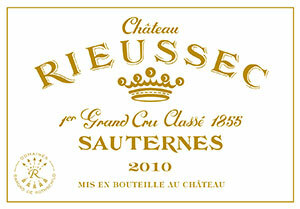 The Château Rieussec 2001 has a deep golden colour. The bouquet offers marmalade, quince jus and yellow flowers. It has fine definition, if not the killer precision of a top vintage, though the oak appears to have been assimilated since I last tasted it. There is something almost Germanic here, like a Beerenauselese! The palate is unctuous on the entry with kumquat, quince and barley sugar, almost Barsac-like in style leading to an unctuous finish that is long in the mouth, but does not quite have the detail and delineation of the 2005 tasted blind alongside.